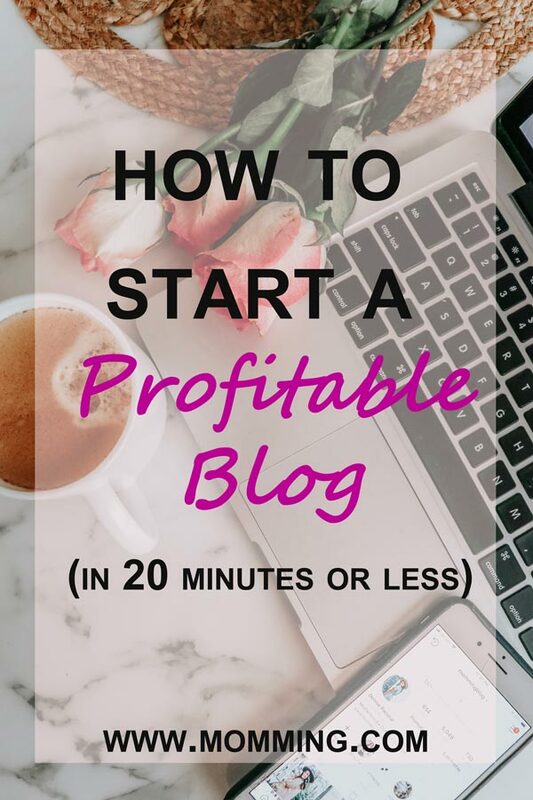 I get so many questions about “how to start a blog” so today I will be sharing how to get your blog up and running in under 20 minutes! I started blogging in 2016 but only posted once or twice a month. At the beginning of 2018 I decided to really take blogging seriously and began posting on a regular basis. Since then I have been able to work with some amazing brands and companies and my hobby has turned into a business where I am making $1000’s of dollars/month! If you’ve been thinking of starting a blog, I encourage you to do so! Everyone has a unique voice and blogging is a great way to share content you love and make money doing it! So, let’s get your blog setup! I use WordPress for my blog layout and it is hosted by Bluehost. A Web Host is what allows your website to exist and be visible on the internet. It enables your website to run and it is where all of your information is stored. Web hosting allows your site to quickly pull all of that saved content onto the web when someone visits your site. If your blog is not “hosted” it simply won’t show up. Yes, you can use free platforms like Blogspot or Blogger but if you really want your blog to grow, you need web hosting. It provides the room for growth that you will need as your blog grows. I use affiliate links in almost all of my posts (affiliate links are links that allow you to earn commission on what people purchase by clicking on products from your blog). Many affiliate networks and agencies do not work with blogs on these free platforms. Years ago I had a blog on blogspot and as my audience grew, I quickly realized the limitations that came with free sites. Web hosting will allow you to use a variety of different WordPress themes, analytics and more that are not available on the free platforms. So start off on the right foot with WordPress and Bluehost. 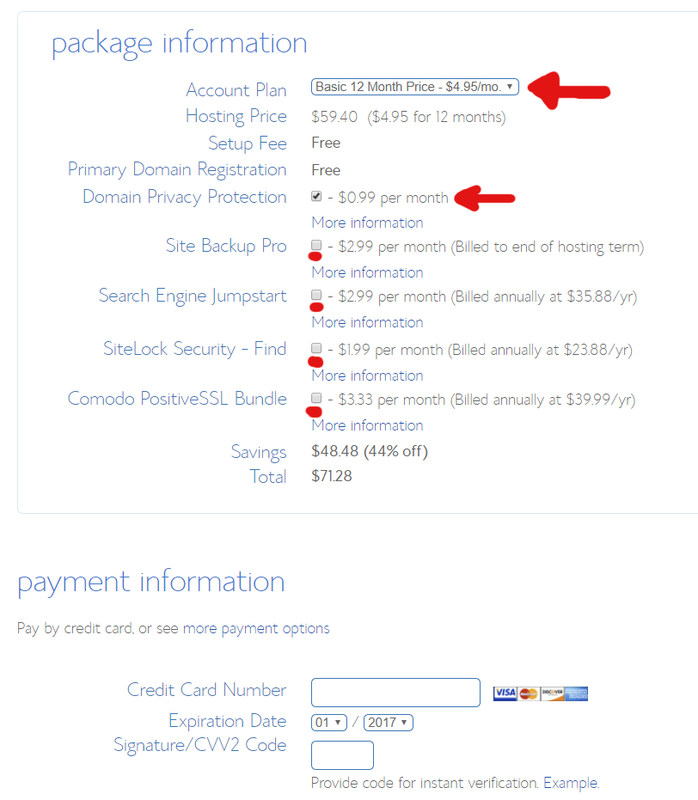 Thankfully web hosting is very inexpensive! You can start hosting your blog for as little at $3.95 per month here. I use Bluehost to host Momming and it is the top-rated website hosting company. They are reliable and your blog loads quickly anytime someone visits your site. Have you ever visited someones blog and it takes foreeeevveeerr to load? With Bluehost you don’t have to worry about your site loading slowly or going down. Click here to get started and then follow my easy instructions below! The basic $3.95 plan option (this price can vary if the plans go on sale!) is perfect and that is what I have. This rate is locked in so you don’t have to worry about the price changing on you. You get this rate for 36 months and don’t have to worry about it for 3 years. Your domain name is going to be your blog’s website address (i.e. www.momming.com). You can either create one for FREE or you can sign up an existing domain you purchased from GoDaddy or elsewhere. **Note that you cannot pick a domain name that already exists. 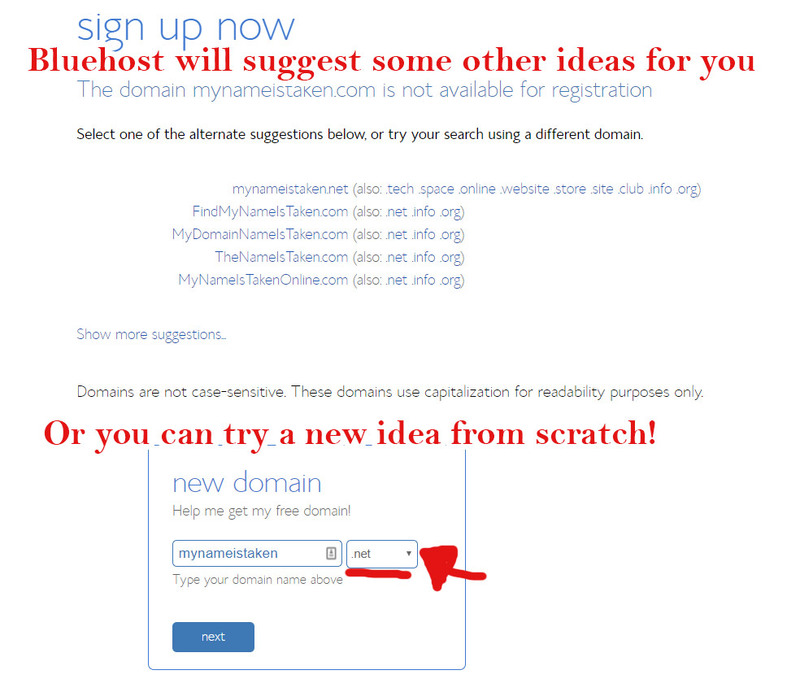 If you are having trouble thinking of a domain name, type in a key word and Bluehost will give you some ideas! 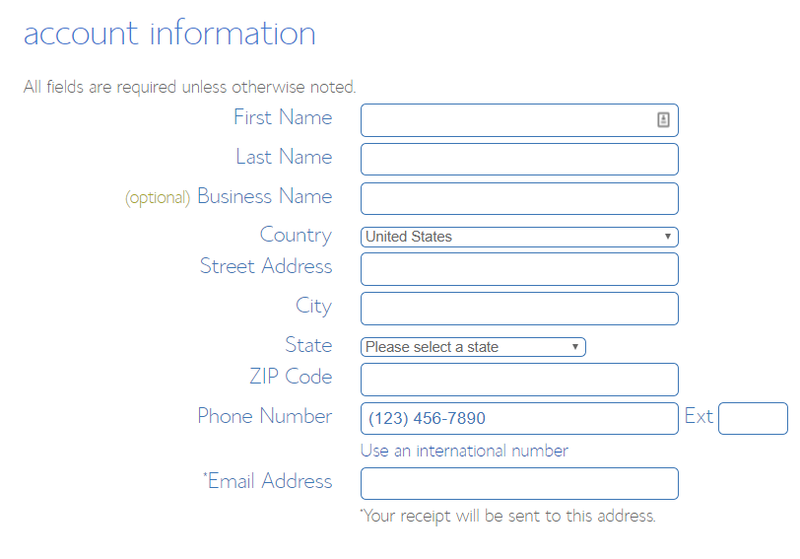 For the “Account Plan” select the length you want. Again, the 36 month option will be the best value. 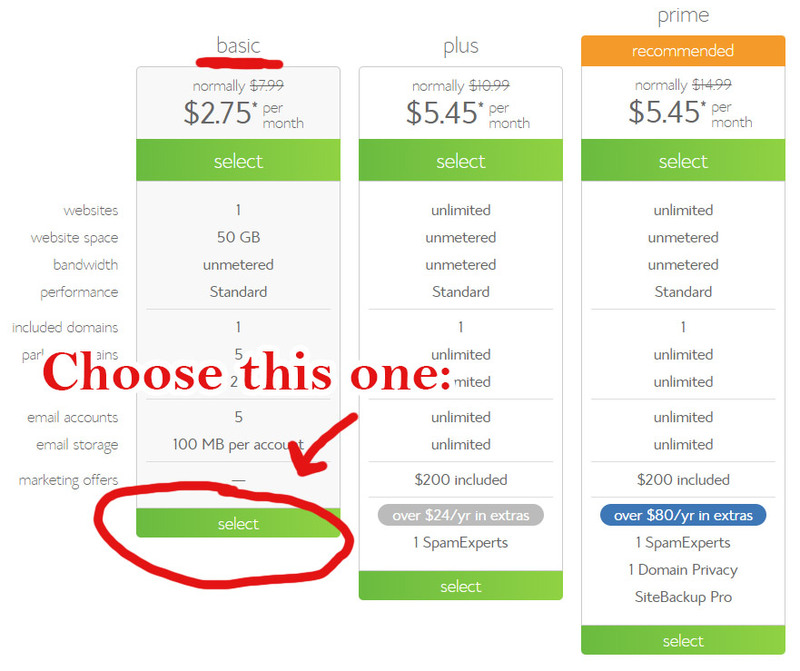 Then select “Domain Privacy Protection” for $.99 and that’s it. You don’t really need any of the other options. **If you purchased your domain name through another site, you will now need to contact Bluehost customer service and they will walk you through how to do that! It’s super simple. But this is only if you purchased your domain through GoDaddy or elsewhere. If you used a free domain name through Bluehost then you are good to go. After the payment information is done, Bluehost will ask you to enter a password and you will receive instructions on how to add WordPress (it’s super simple). Once that is done, guess what?! You have a blog! Congrats!! Now the fun part, you get to choose your WordPress theme! There are so many themes you can choose for your blog. There are some free ones you can choose to start and then there are some that you can purchase which give you more options for customizing how your blog looks. I personally use the Redwood WordPress theme but there are thousands to choose from. Just google “WordPress themes” and find one that you love! If you are a business, make sure your blog is focused on promoting your business’ products and/or services. If you are an individual, you can blog about whatever topic(s) you want! Just be sure to choose a topic that is timeless and that you can blog about for a long time! Also, don’t copy someone else’s content and blog. Find your unique angle! You don’t have to overthink this part. I feel like this holds a lot of people back from starting a blog. Rather than looking at what other people are doing, make a list of all the things you love and are good at. You will notice a theme, and most likely this can be what your blog is about! 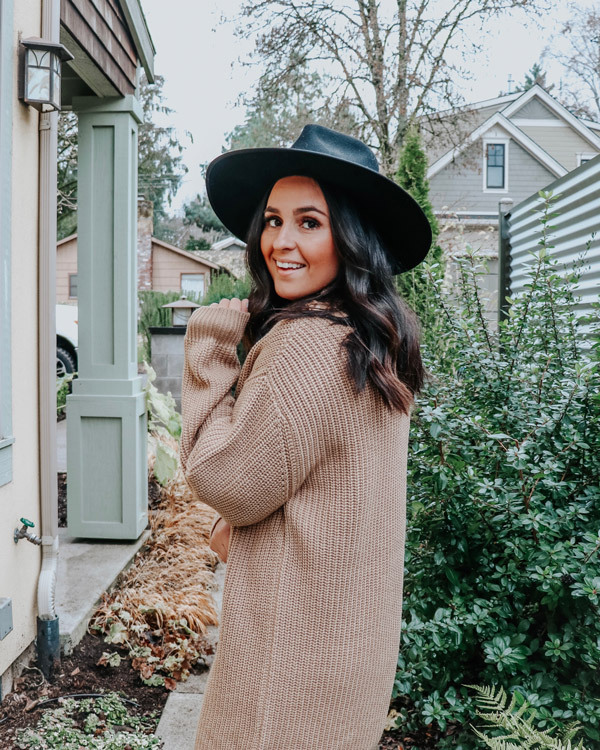 For me, my list included motherhood and fashion so Momming.com became a lifestyle blog with a strong focus on motherhood and fashion! I am also working on a few blog posts on “how to grow your blog’s presence” as well as “how to make money blogging” that I hope to publish in the next few weeks! So stay tuned for that! If you have any questions at all, please leave them in the comments below and I will respond there!